All is set for the staging of the 32nd “Araw ng Kagitingan” ultra marathon, an event that pays tribute to the veterans of World War II. The race, to be held on April 8 and 9, will cover the stretch of the Death March from Mariveles, Bataan province to San Fernando, Pampanga province. 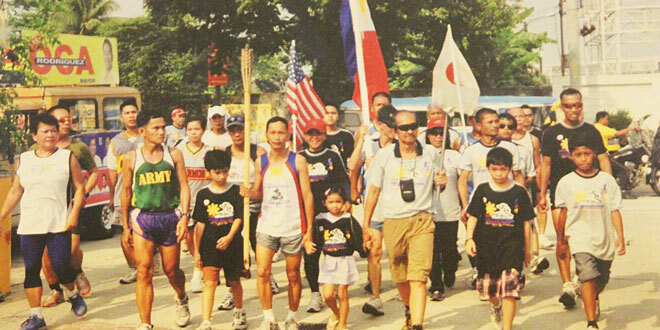 Founding organizer Ed Paez said last Tuesday that the event would start with the traditional walk-with-the-heroes phase, featuring the veterans with local government officials, led by Mariveles Mayor Ace Jello Concepcion and Vice Mayor Angelito Rubia, who will hand over a symbolic torch to the runners, who will also carry a big Philippine flag as well as Japanese and US flaglets throughout the race. After passing through nine towns and one city in Bataan, the runners will stay overnight at the Lubao municipal gym, where they will be welcomed by the Pineda clan, headed by Gov. Lilia Pineda, Vice Gov. Dennis Padilla and Mayor Mylyn Pineda-Cayabyab. On April 9, the runners will visit San Guillermo Church before heading to the Sto. Niño Railway Station (Death March Km. Post No. 102) in San Fernando, where they will be joined by Mayor Edwin Santiago and Vice Mayor Jimmy Lazatin in a simple ceremony at the final stage of the Bataan-Pampanga route. From San Fernando, the runners will use their back-up vehicles for the last 12 km. of the grueling race ending at the Capas National Shrine (Camp O’Donnell), where Mayor Reynaldo Catacutan will lead the final program.